Are you tired of those long and drawn-out dinners, lunches, and brunches? Or, what about those “Bridget Jones” year-end office parties that always leave you feeling traumatised? No thanks! This year, why not try something completely different, fun, and inspirational? Why not have a year-end bash that everyone can truly enjoy and take pride in. Your employees have worked hard this year and, with 2017 coming to an end, spoil them with something that they will absolutely love and talk about for years to come. Give your employees a Year End function they will never forget! Ever heard of Acrobranch? 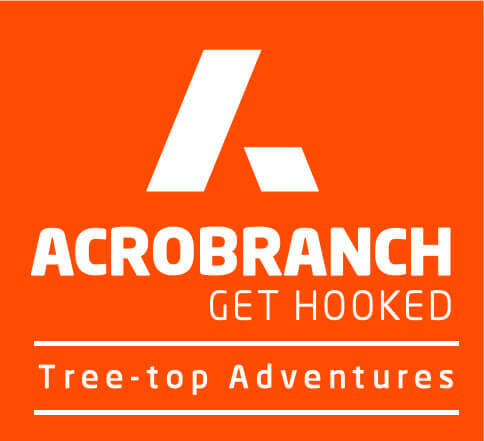 A world-class state-of-the-art ziplining adventure that originated all the over in the jungles of Costa Rica, Acrobranch has caught the attention of both small and large organisations nationwide. Using cables and a pulley system, employees are safely and securely strapped into harnesses and, donning helmets and gloves, they climb to different platforms high up in the treetops. Once at the top, immersed in the beauty of nature, your employees will glide like a bird from tree to tree with the wind in their faces. It is exhilarating, re-energizing and, for some, even a life-changing experience. 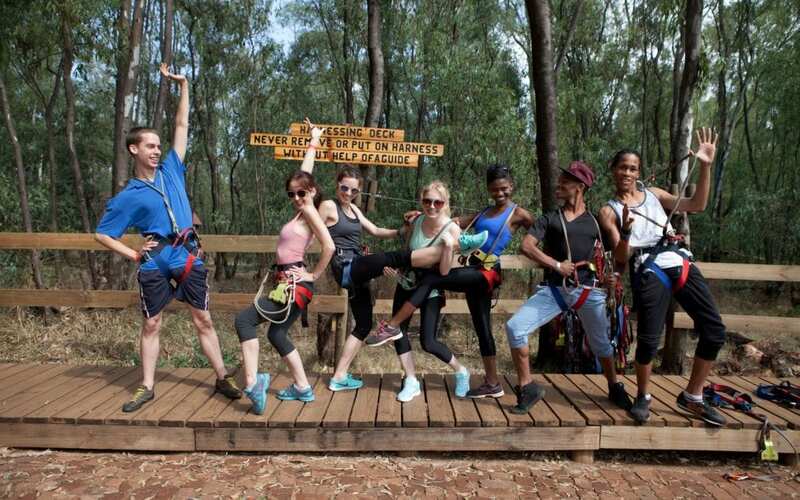 As a function venue that is ideal for nature lovers, families, adrenalin junkies and conference groups attending team-building events, anniversaries, bachelor and bachelorette parties, or year-end functions, Acrobranch brings you zip line adventure parks situated throughout South Africa. What is more, we are giving organisations throughout South Africa 20% off at any one of our adventure parks. These parks can be found in Constantia Nek in Cape Town, Sunlaws Estate in Centurion, Melrose Park in Johannesburg, Pretoria East, Musaiek in Pretoria North, and Timberlake Organic Village on the Garden Route. Treetop ziplining is a growing trend that has stolen the hearts of people of all ages throughout South Africa and the globe. Acrobranch offers a fun, easy, and super-safe zip line adventure that is ideal for anyone between the ages of 7 and 70 years. In fact, we let you decide which level you would like to take on first. While each zip line course offers a unique adventure, you can expect cargo nets, Tarzan swings, balancing beams, tightropes, zigzagging, lily pads, barrels, rope bridges, and many other obstacles to get you laughing and having the best time ever. You can leave your frantic and stressful world behind, and our Adventure Parks allow you to be free like a bird. You will most definitely want to come back for more and more. To avoid disappointment, make your booking at a top-trending team-building and year-end function venue like an Acrobranch adventure park near you today. No brunch, lunch, dinner, or office party can beat soaring through the treetops like a bird, even if it is only for a few hours. Once your adventure is over, you can head down to one of our restaurants and enjoy drinks, refreshments, or lunch. Spoil Your Employees at One of Acrobranch Year End Functions Near You!